The above advertisement (dated 1914; ref 3) gives her point of contact as husband Louis Saul Langfier, trading under the name ‘S.Langfier’ from his business address in Oxford Street, London. Intriguingly, Pearl describes herself as ‘Professor’. Really? She certainly was creative in the pursuit of her goals! So what happened to bring about Pearl’s change in circumstances? Pearl alleged to have been thumped by Mrs Tate (the housekeeper), who attempted to strangle Pearl and ‘bit her fingers until the blood came’. Mrs Tate and her son denied everything, saying it was a ‘fabrication of lies’, calling Pearl ‘an adventuress’ and ‘a wicked woman’ who had wanted them to join her in her crooked ways ‘and keep a night club’. 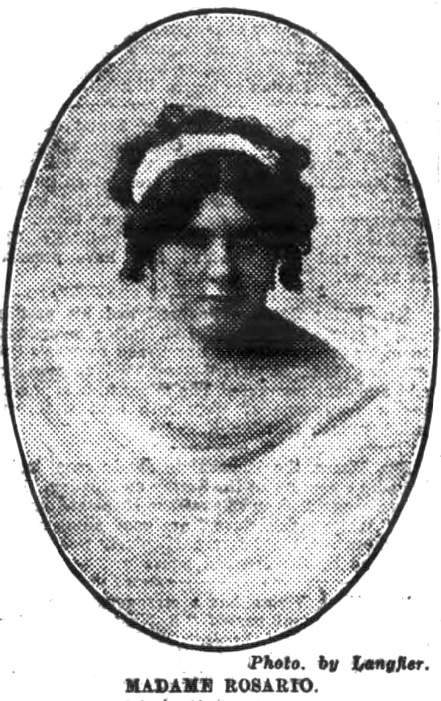 At the very least, Pearl Lyndon was mixing in dubious company, and her attachment to Henry Charles Wall suggests her husband was no longer around. The extent of Pearl’s involvement in the nightlife of London’s West End becomes clearer in the newspaper reports surrounding her arrest and subsequent trial (refs 7, 8, 9, 10). No less than three of her clubs were raided by the police, with Pearl escaping most of the raids. The reports even mention that opium was being sold, although not directly by Pearl herself (ref 10). The police net was tightening, and this is perhaps one of the reasons why Pearl moved back to Scotland, since at the time of her arrest she was living in Leith (near Edinburgh). In April 1924, a trial took place in Dunfermline. Pearl’s relationship with Henry Charles Wall had soured to the extent that Wall accused her of conspiring to harm him. In her defence, Pearl claimed to have financially supported Henry for ‘about seven years’ during which time he had demanded money and ‘knocked her about’. She always forgave him because she loved him. It came down to one person’s word against another. 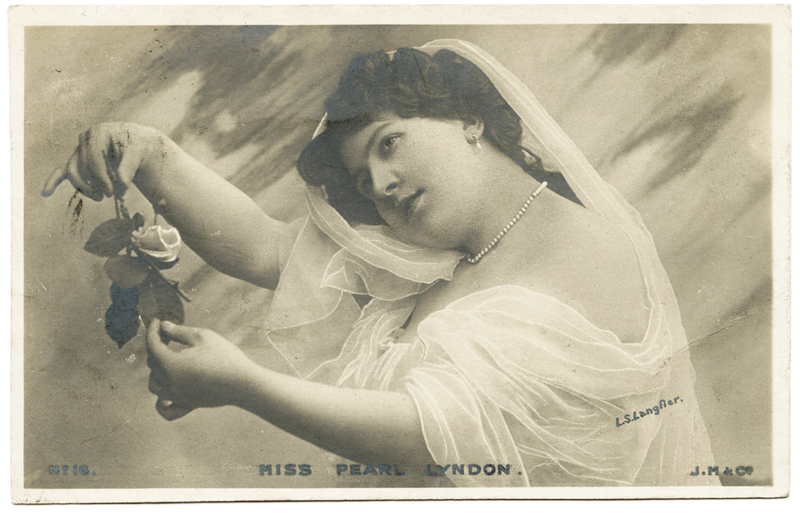 Although the evidence was scant and confusing, it was enough to convict Pearl Lyndon to two months imprisonment. Her alleged co-conspirators (two men), who were also given short prison sentences. Following her release from prison Pearl disappeared, at least as far as the newspapers were concerned. There are hints that she remarried but I cannot confirm this. Plus, I respect her for finally shunning the limelight and wish to leave her in peace. After all, she’d had quite enough excitement for one lifetime! Newspaper clippings/quotes/information courtesy of the British Newspaper Archive; The British Library Board. Further research carried out using Ancestry. Thank you for a fascinating story! Congrats on your meticulous research. I know digging out details like these is not easy. Thanks so much :-). It’s a lot of fun digging for the details – I was quite caught up in Pearl’s story for a while! I know the feeling! It’s like going down a rabbit hole and you aren’t sure when you’ll emerge from it! Great detective work on your part makes a riveting story! No wonder mothers of the era were warned against letting their daughters enter the thespian profession…look what it leads to! Thank you! There is more to the story that I didn’t write about, including tales of young women being coerced by Miss Lyndon to work in her clubs in order to pay off money they (apparently) owed her. So your observation is spot on! What a place it must have been! Indeed a strange career! I do admire your work and that of Shayne Davidson, too. It is so hard to find all the threads and pull them together to make a cogent story. This one was riveting! Many thanks! I love to do the research and the newspapers are a treasure trove of information!